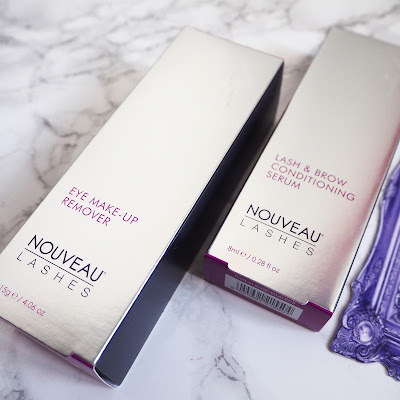 At Nouveau Lash-approved salons all over the country, they offer semi-permanent lash enhancements such as lifts, tints and individually applied extensions. I'm definitely hoping to try them out in the near future, cause let's be real, anything that's going to make my beauty routine that little bit shorter and easier - I'm down for! (Cause who doesn't want an extra 10 minutes in bed?) I'm going to Portugal at the end of March with the gorgeous Debra-Bow so maybe I'll pop in for a treatment just before! 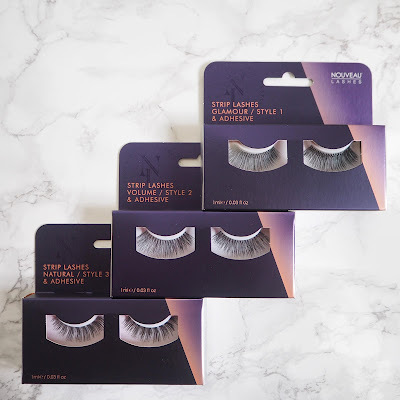 They also have an amazing range of false lashes (all cruelty free of course) and various lash and brow conditioning products; some of which they very generously sent out to me in my welcome package! So far I've been obsessed with the Eye Make-Up Remover, it's a clear gel-like formula that is so silky and cooling on the eye, and removes the most stubborn liquid liner with barely any effort whatsoever! I've also been using my Lash & Brow Conditioning Serum over the past couple weeks as my eyelashes had been looking a little sparse as of late.. (Something I'm rather perplexed about) and I feel like this has genuinely helped improve their appearance - they're finally starting to look thicker and more uniform thank goodness. I've been applying it daily - ok more like every other day - but I'm really impressed with it so far! Finally, last but not least are the lashes.. LOOK HOW PRETTY!? I've only tried out the Natural/Style 3 ones so far, but was pleasantly suprised at how easy these were to apply - and that's coming from a false lash rookie! The band is really thin and flexible, but not at all flimsy like some Eylure lashes I've tried before, and the glue goes tacky nice and quickly. (Cause nobody likes faffing around for ten minutes while their lash glue dries!) I'm really looking forward to going full glam on my next night out and trying one of the more dramatic pairs. There will be selfies. 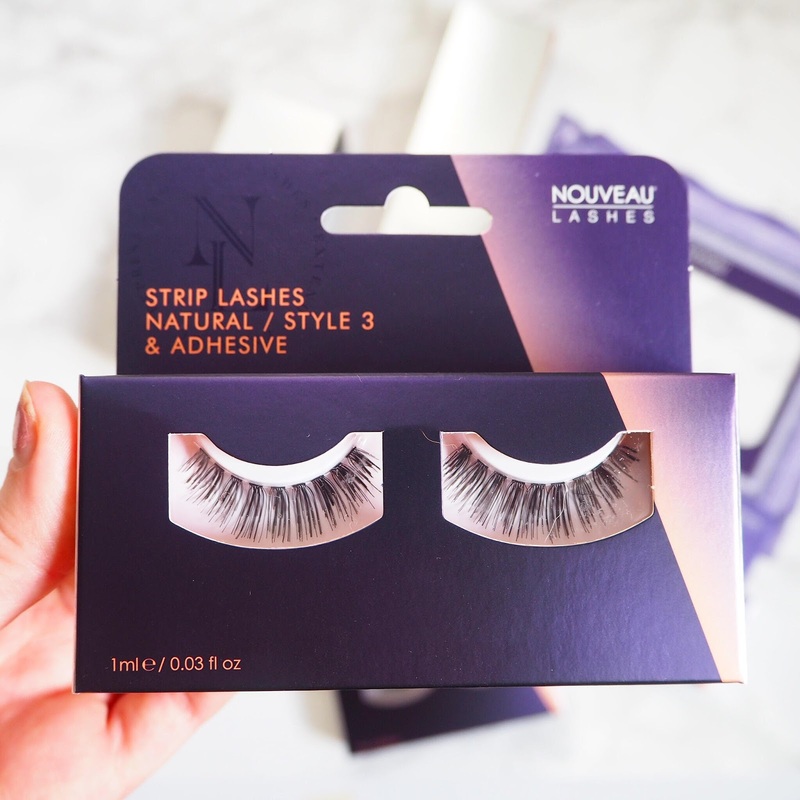 Have you tried anything from Nouveau Lashes? Or are you up to anything for Galentines Day?? Thanks for reading your Dose of LashMail! You are bloody perfect for this you beauty! 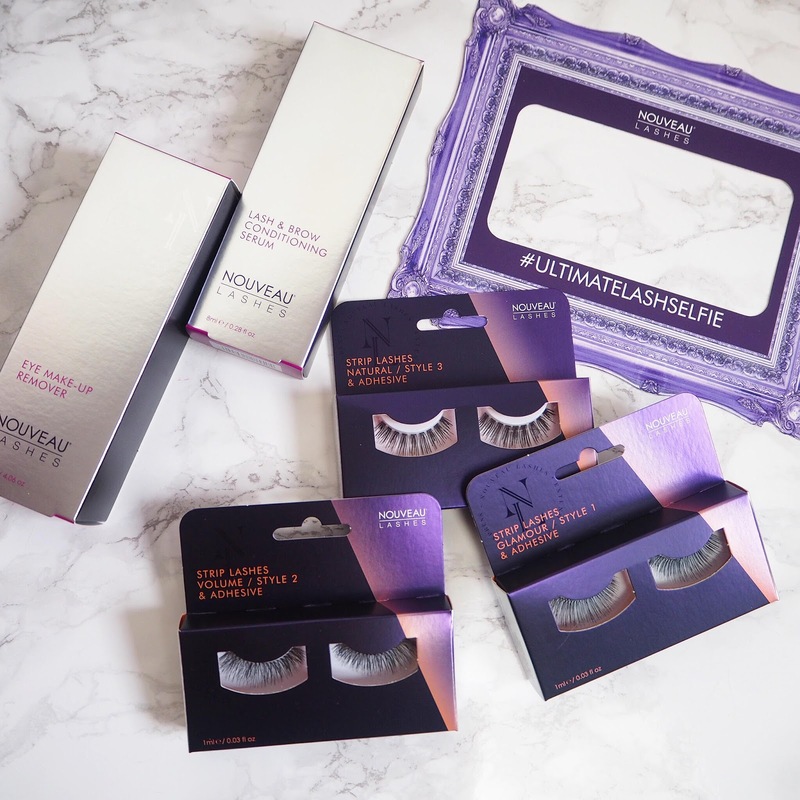 Lucky you for getting to join the lash gang! 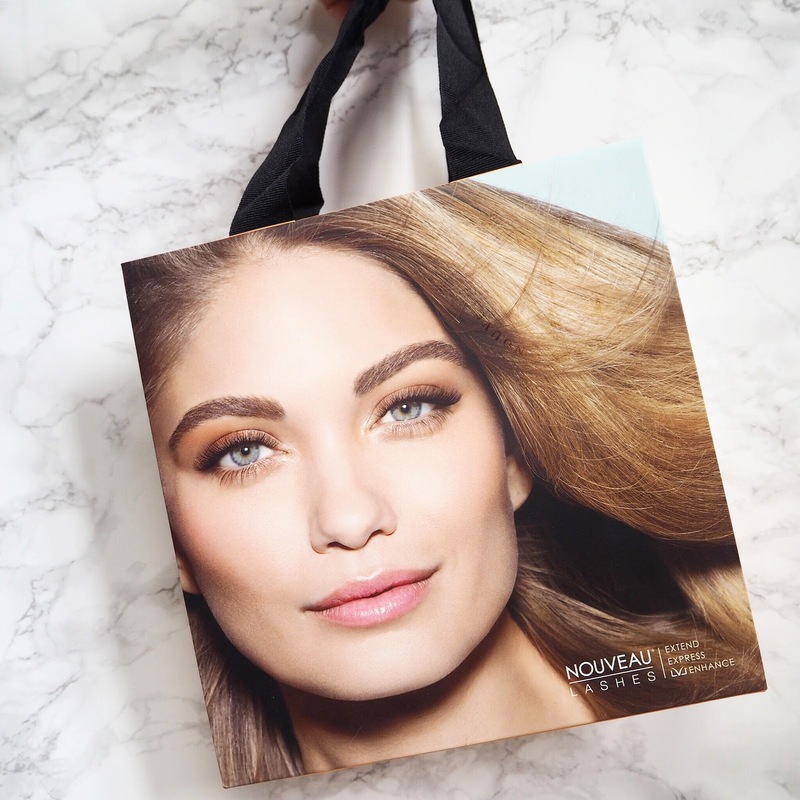 I've heard so many fabulous things about their products, and I'd certainly love to see a review of their salon experience if you do decided to pop in before jetting off on holiday! I'm also a lash rookie, so if they're easy to apply, they'll be a winner in my book! Eyelashes are everything, aren't they? It's crazy how much they can transform your face! 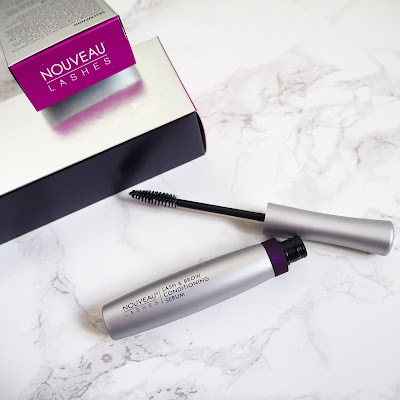 I'm really intrigued by the lash extensions & conditioning gel- I would love for my eyelashes to look as full & thick as they do with falsies... but I hate the effort of putting falsies on all the time! Ow congrats I bet your so happy, the lashes look amazing! Congrats! All of the lashes look amazing! What an exciting experience for you! I've seen so many great reviews of these lashes and it seems they really look after their ambassadors! Congrats!